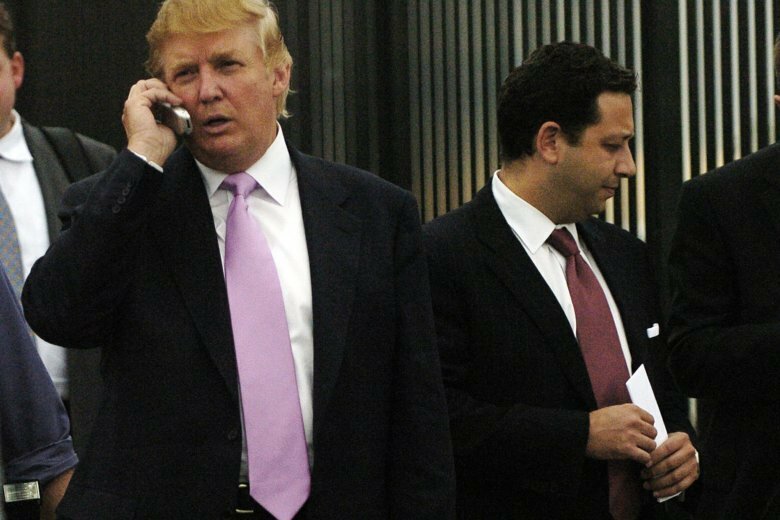 NEW YORK (AP) — In a story March 26 about Felix Sater, an associate of President Donald Trump, The Associated Press erroneously reported the name of a company named in a lawsuit against Sater. The company that was sued is Bayrock Group Inc., which is owned by Sater, not Bayrock Group LLC, a real estate company founded by Tevfik Arif where Sater was an executive. Sater, who was due to testify before Congress this week about his work with Trump, started pushing the Moscow project in 2005 and tried to kick-start it during Trump’s 2016 presidential campaign, but it was never built. The bank also alleges Sater helped the mayor’s son, Ilyas Khrapunov, mask $3 million as down payments on three condominiums in Trump SoHo, a New York City hotel Sater helped develop as an executive at Bayrock Group LLC. Sater’s lawyer said Tuesday in a written statement that the bank had hired a Sater-owned company to recover some of the assets and that the lawsuit is “cheap and desperate retaliation” after that company sued over an unpaid bill. Sater’s company helped the bank recover more than $50 million in stolen assets and was owed $10 million for the work, lawyer Robert Wolf said. The bank said in a court filing it did not know Sater was connected to the asset-recovery company until he said so in a deposition. Sater’s work on the Trump Tower Moscow project has made him a key figure in the House Democrats’ investigations into Trump’s ties to Russia. The congressional probes are moving forward after Attorney General William Barr on Sunday said that special counsel Robert Mueller found no evidence Trump colluded with Russia to influence the election. The House Intelligence Committee postponed Sater’s appearance, scheduled for Wednesday. It wasn’t clear whether he would still meet with the House Judiciary Committee in a closed-door session Thursday.